Divorce From a Financial Standpoint: Divorce or Legal Separation? When you make the decision to live separately from one another instead of going through divorce, you are choosing legal separation. During this time, you gain better insight into your situation and determine whether or not divorce or separation is right for you. But how do things look from a financial standpoint? Many people actually choose legal separation because they believe that this is the best choice for them on a financial level. Is this so? If you decide to go through with separation, you should always consider a legal separation agreement. You don’t want to move forward with your decision without an agreement because you could be putting yourself and your rights at risk, which could affect your finances in return. If you decide to separate, you will find that you could still be liable for your spouse’s debts and more. Having an agreement in place could help you avoid this because it would address these issues and protect you from harm from the other party. 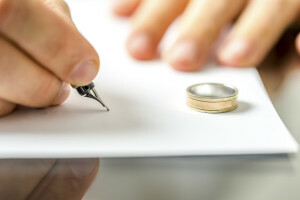 Many states require legal separation agreements because they also deal with issues like alimony, so that spouses are given a fair chance to strive after they have separated. In other states, they recognize the agreement but do not require it. And lastly, some states do not recognize them at all. It is important to speak to your attorney about these matters. As you can see, there are many considerations to be made when you are choosing between divorce and legal separation. We want to help in your time of need when it comes to your case. Call us for more information on how this works.